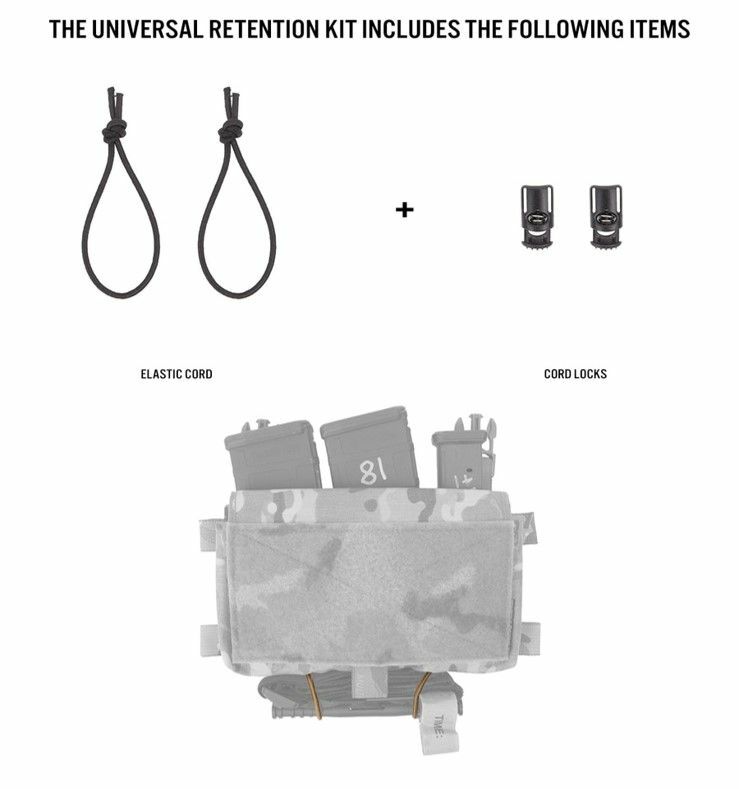 The Universal Retention Kit is a simple way to add a tourniquet or similar item to your Micro Fight Chest Rig MK 4. 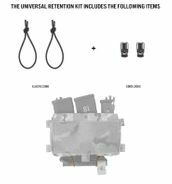 Simply route the shock cord through provided Cord Locks and then through the grommets on the bottom of your Micro Fight. 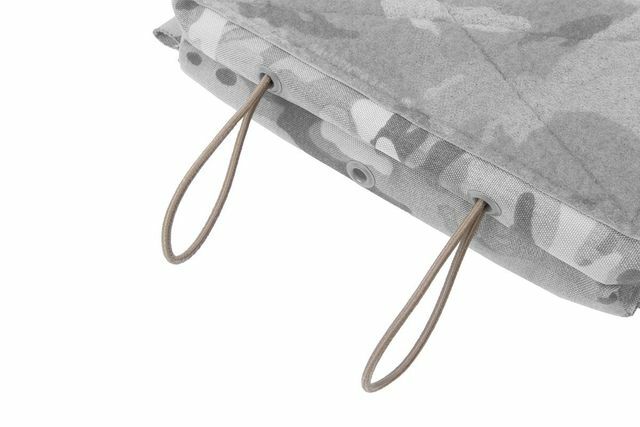 Use the provided Cord Locks to tighten the the elastic loops around your Tourniquet. Designed specifically for the MK4 Chassis, may not work on previous generations.